I recently posted an American Civil War miniatures wargaming scenario on the Battle of Quaker Road from the Charge! wargaming newsletter as well as Gettysburg hero Joshua Lawrence Chamberlain’s account of the Battle of White Oak Road (with White Oak Road map). 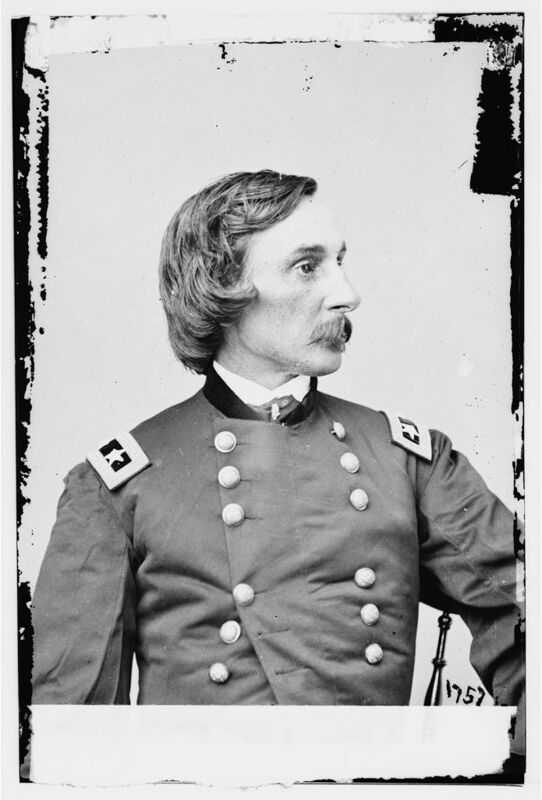 Both battles involved Chamberlain’s brigade as well as other elements of Gouverneur K. Warren’s veteran Fifth Corps of the Army of the Potomac. These fights were a part of the final push southwest of Petersburg which culminated in the decisive victory at Five Forks on April 1 and the Union Sixth Corps “Breakthrough” the following day1, leading to the fall of not only Petersburg but also Richmond. An interesting side note of these battles is the role they played in the eventual sacking of Warren at Five Forks by Union cavalry chief Philip H. Sheridan. In Sheridan’s mind, Warren dallied in coming to his aid and was not leading his troops on the march on in the Battle of Five Forks. 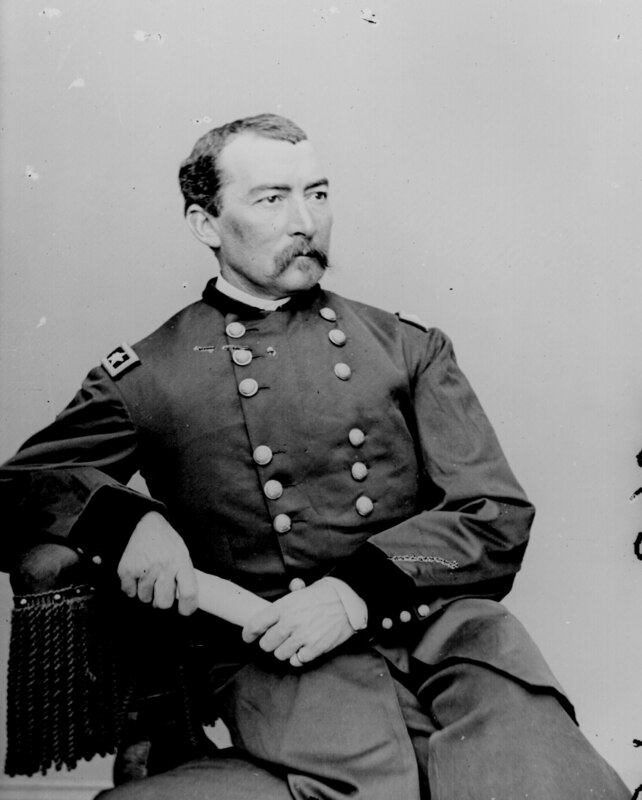 The Sheridan-Warren affair and the many subsequent years of Warren trying to clear his name are relatively famous in the annals of Civil War history. The topic is covered in Eric Wittenberg’s Little Phil: A Reassessment of the Civil War Leadership of Gen. Philip H. Sheridan and Jay Simson’s Crisis Of Command In The Army Of The Potomac: Sheridan’s Search for an Effective General. Most modern scholars seem to agree that Warren’s dismissal by Sheridan was patently unfair. Unfortunately for Warren, he died without ever having his name cleared, that decision coming soon thereafter. Fortunately for modern readers, at least volumes one and two of the three total volumes of the Warren Court of Inquiry are available in their entirety at Google Books. Sheridan needed that help in the first place because he had been driven back at the Battle of Dinwiddie Court House on March 31, the same day the Battle of White Oak Road was taking place. Chamberlain’s account is admittedly one sided in favor of his commanding general Warren, full of thinly veiled sarcasm directed at Sheridan and the favoritism shown him by General Grant. Knowing Chamberlain’s understandable bias, his personal experiences before, during and after the Battle of White Oak Road are still a fascinating look at some of the difficulties Warren and his Fifth Corps encountered while trying to shift from an expected campaign-winning thrust in one direction to what was essentially expected to be a rescue mission in an entirely opposite direction. These difficulties in moving from the battlefields on the Quaker and White Oak Roads slowed down the Fifth Corps and directly contributed to Warren’s famous dismissal by the diminutive cavalrymen. Editor’s Note: For a look at what Chamberlain and his men faced at the Quaker Road on March 29, be sure to check out the Charge! miniatures wargaming scenario at Beyond the Crater’s new “Wargaming the Petersburg Campaign” Civil War miniatures page.